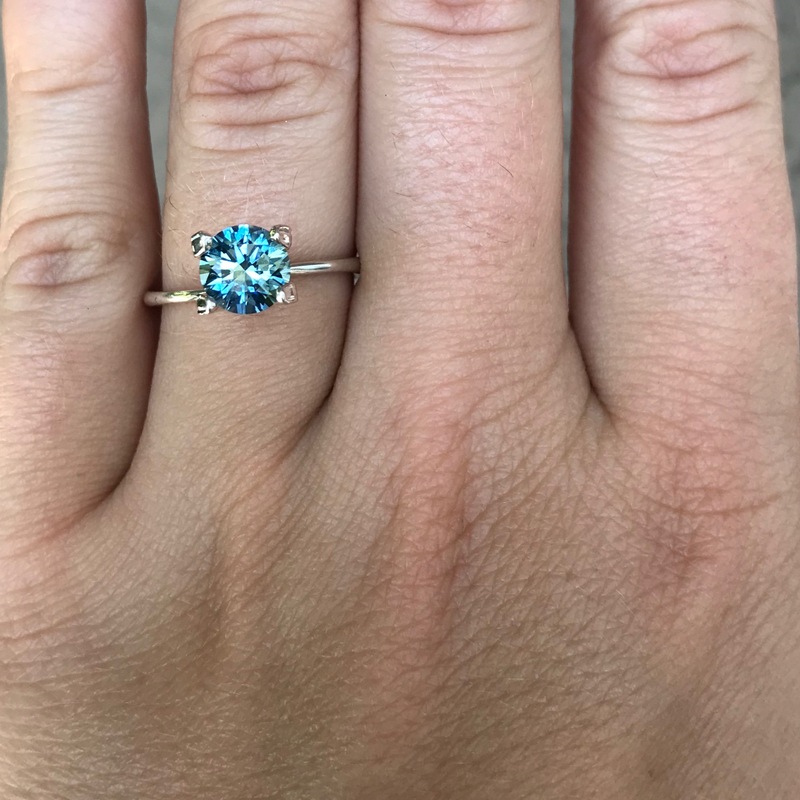 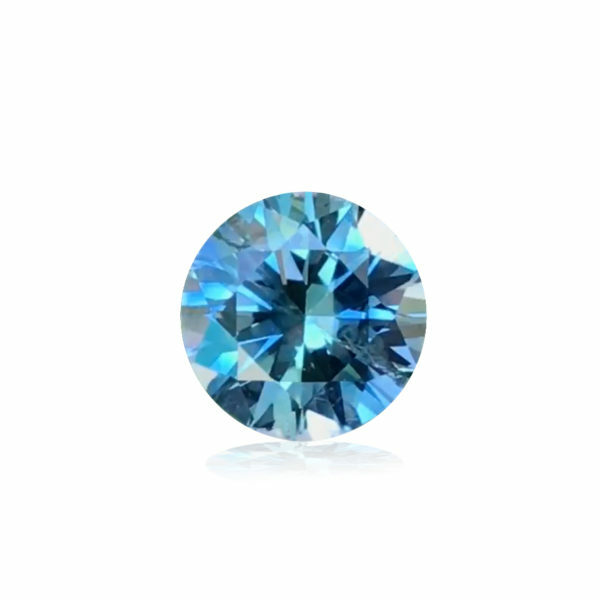 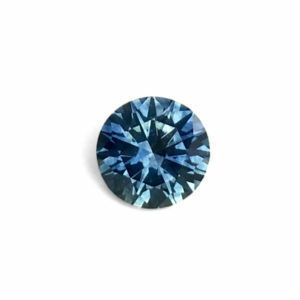 This is one of the best, vivid, light to medium blue sapphires Montana has to offer. 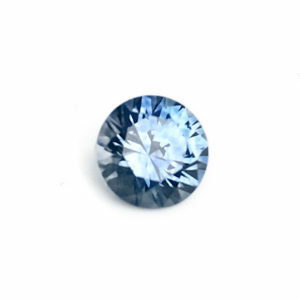 This All American Sapphire® has a diamond like brilliance because it has been cut with diamond hearts and arrows accuracy. 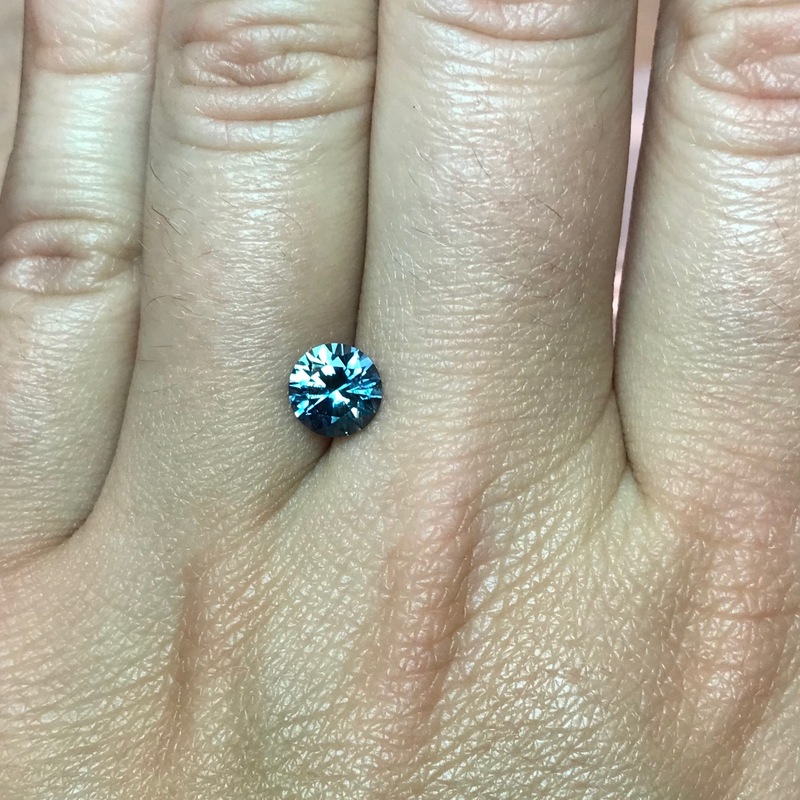 The stone shifts to a slight teal color in artificial light. 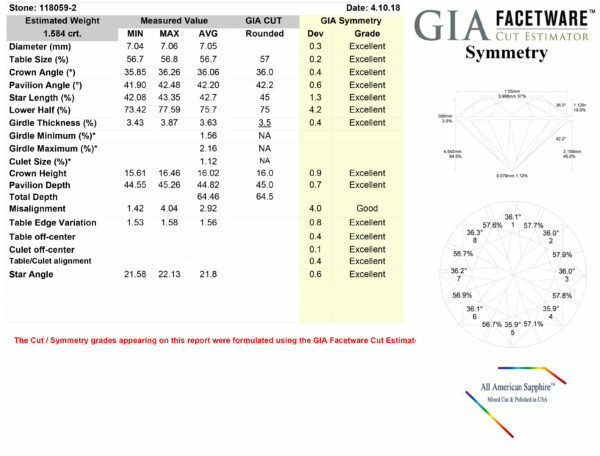 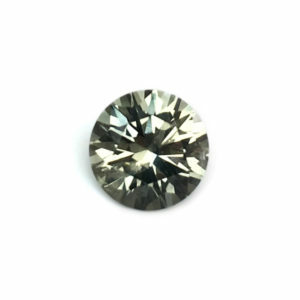 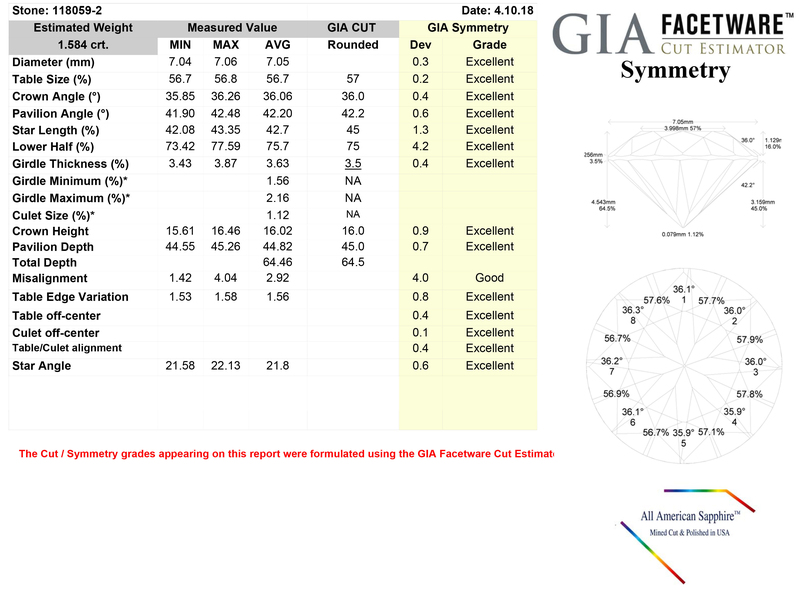 It is eye clean and so inclusions do not diminish this stones great sparkle. 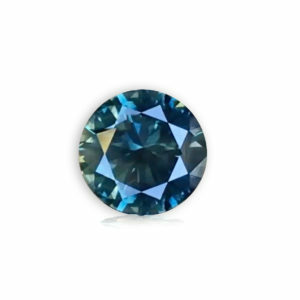 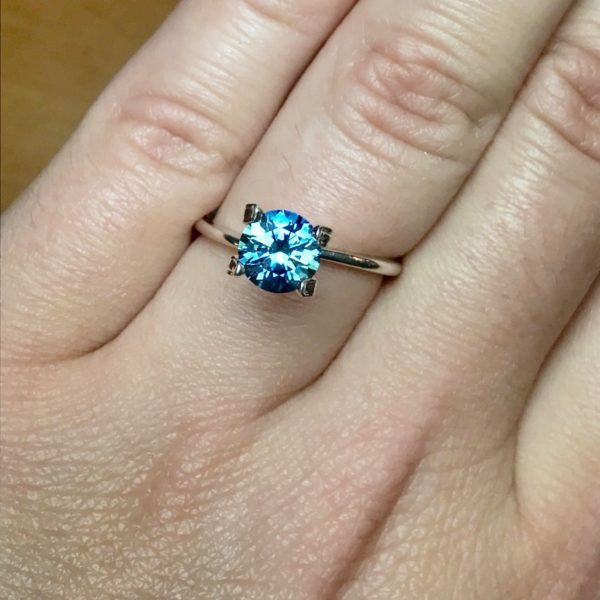 This very lively Eco friendly sapphire will be first choice for anyone looking for the perfect stone that combines the best of cut, color, clarity in a nice center stone size.